Changing of IMEI on android phones have become so paramount nowadays. Of course, there are lots of benefits to gain after changing the IMEI of your android smart phone. There are different reasons most android users change the IMEI of there smart phone, I would just mention a few. » Most android users changes the imei of their smartphone because they wish to access blackberry internet plan. Like the Glo Bis plan, it works on any android smartphone as long as you have changed the android device imei to blackberry. » Other android users wish to change the imei of their android device because they wish to enjoy the promo package of other recent smartphones. Beware that changing the imei of your android device, voids the warranty of that smartphone. Disclaimer: Changing of IMEI in various countries is quite illegal, so I won't be help responsible on any consequence that affects the changer. 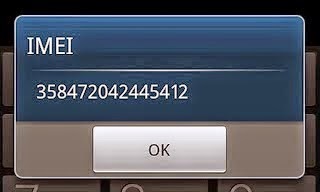 NB: Before changing the IMEI of any android phone, try to take note of the original imei number (keep it save) and backup your android smart phone before proceeding. So, if you still wish to change the imei of any android smartphone, then drop the phone model via comment section. We might delay our feedback, but it won't elapsed 48 hours. For those of you who are using android MTK chip device, here is a general method to change your imei to blackberry own, so BIS plan can work on them. To change the imei of any MTK (media tek chip) device, simply follow the below procedures. Tools it must detect the information of your Device. order for it to make the script work on the background. Pls I use Samsung galaxy mega. And pls will d glo BBC 3gigg plan work in my phone? I am using samsung galaxy mega. The below method works for both tecno F5 and other dual sim android phones. Then proceed with the below tips. 1. Make sure the android dual sim phone is rooted. 3. Open android terminal emulator. Pls I am using samsung galaxy mega. To change the imei of samsung galaxy and other single sim android phones (rooted), then follow the simple procedure below. First download imei generator from here. Then also download terminal emulator process from here and follow the below process. That's it, your imei would be changed. How do I change the imei of Samsung galaxy S4... the phone can not be rooted..
you can root it easily, simply follow the rooting process here. it's a one click method. I bought a Nexus 6 on eBay,it get internet 3g and everything but not phone or SMS service, would this help me? How can I do it? which of the Nexus 6? I got a LG G3 verizon vs985 with android 4.4.4, can you help please?I tried the android emulator on my phone. It doesn't work. I tried the Mobile Uncle or the engineering mode stuffs which doesn't help either, guess it's not an MTK device. Any help will be highly appreciated. I have galaxy s6edge+ how can I root and change the imei? I have the galaxy s6 edge+ model g928a how do I root and change imei?